The i.safe MOBILE is your partner for the development, approval and marketing of explosion-proof mobile communication devices. With more than 15 years of experience, i.safe MOBILE belongs to most innovative and well-established experts worldwide. Our priority is development of practice-oriented products based on the legal requirements. We place great emphasis on quality not only in the development of our products, but also by offering customised service to your needs and detailed maintenance plan. To improve upon customer relationship we rely on our authorised worldwide partner network. 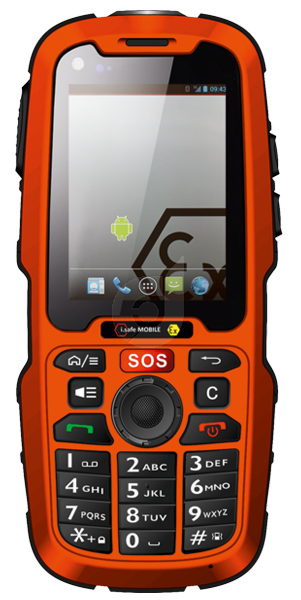 In case you need an optimal solution from a technical and economic point of view – i.safe MOBILE is your expert. i.safe MOBILE incorporates all international standards into the product development and is also a member in relevant standardisation committees. To fulfill all requirements for explosion protection we develop our products from the ground up, so users all over the world can be sure to use high quality communication technology up to date with current standards. Our services enclose all activities around the development of mobile explosion safe devices – from the idea to the serial production and beyond. Our partners can be sure that i.safe MOBILE is at their side offering competent support. Your global expert for mobile communications and solutions.